Summary: In this session, Dr. Osborne notes our cultural fascination with blessing, but also considers how this is rarely rooted in a biblical-theological framework. He suggests that our misunderstanding of blessing has led many to either embrace the Prosperity Gospel or to speak of blessing in terms that sound much like the Prosperity Gospel. 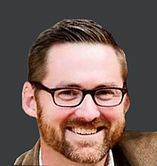 In response, Dr. Osborne considers a biblical theology of blessing, especially focusing on how the Old Testament covenantal blessings are ultimately fulfilled in Christ through the Holy Spirit and, therefore, although we experience blessing today, we also await a future, more glorious blessing in the New Jerusalem. He ultimately concludes that true blessing is in the kingdom of God and the inheritance that is coming, not in the satisfaction of carnal desires for material things.